LOWLIGHT Staying at the Crawford just before the light rail to and from the airport was completed. HIGHLIGHT Floating through the Great Hall and up to my room to Irving Berlin's Cheek to Cheek after cocktails and dinner at Stoic & Genuine. 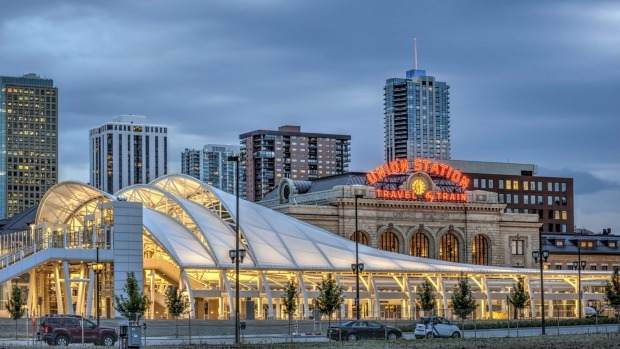 More than 30 years ago, preservationist Dana Crawford envisaged a rebirth of Union Station in Denver's historic Lower Downtown district (LoDo). Originally constructed in 1880, the station was rebuilt in the Victorian era after a major fire. Now, it's a mixed-use transit-oriented hub that incorporates restaurants, retailers and a hotel named in Crawford's honour. The	Cooper Lounge specialises in high-end cocktails. The hotel experience is inseparable from that offered by Union Station. The Great Hall's gleaming interior, hung with enormous art deco-style chandeliers, is effectively the Crawford's main entrance and lobby with a tastefully understated reception area in one corner. On the three floors above, 112 rooms are accessible via lifts or original staircases. Objects found during the recent renovation – 1960s Hollywood swap cards, blueprints, old tickets from down the back of station benches – are on display, as is a huge range of artworks celebrating the building.Along one side of the gracious second-floor balcony overlooking the Great Hall is the hotel bar, Cooper Lounge. Directly below is the Terminal Bar. Sentimental music plays quietly through the night while people wait for trains and buses. Outside, vintage neon "travel by train" signs beam into the night. There are three main room styles. Pullman are loosely indicative of the old art deco luxury sleeping cars by that name. Classic rooms are inspired by the Victorian era, some with mail slots in the door from when train companies used these rooms, last century, as offices. Loft rooms, with exposed beams and vaulted ceilings, are within previously unused attic spaces. Additionally, there are four LoDo suites and an expansive Crawford suite. Seven of the hotel's rooms are wheelchair accessible and all have smart TV, free Wi-Fi and an iPad mini for organising things like same-day laundry, room service and in-room spa and salon services. There is complimentary 24-hour access to the Oxford Club Spa & Salon's fitness centre half a block away, a free shuttle service within a three-kilometre radius of the hotel and bicycles to borrow. Parking is valet only. I'm in a Classic at the back of the building and, despite the transport terminus right outside, my room is quiet and makes me feel calm. Although the desk and chair aren't compatible – my legs can't slide underneath – it's not a tragedy; this gets me off the computer and out exploring Denver. The Crawford describes its food situation as evolved. Depending on the hour, room service comes in 100 per cent recyclable containers from Snooze – one of Denver's top breakfast spots with a restaurant behind reception – or the Kitchen Next Door. Continental breakfast is also available at the Cooper Lounge or coffee and pastries can be bought at Pigtrain Coffee or Mercantile Dining & Provision. A second-floor hallway overlooks Stoic & Genuine for seafood lunch and dinner with a crudo menu I swoon over. 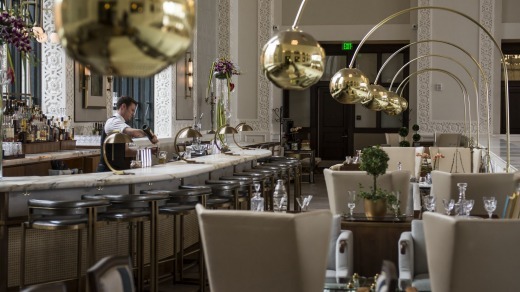 When you've exhausted Union Station's offerings, tour nearby Wynkoop​ Brewery founded by the city's former mayor, roam art galleries and museums on a Mile High Culture Pass and take afternoon tea in the city's oldest functioning hotel, Brown Palace. On Denver's outskirts, Red Rocks amphitheatre is an open-air venue for live music and summery Saturday morning yoga sessions. To repurpose a building is one thing, but to reinstate a historic space to its former use is something else. My Stoic & Genuine waiter tells me he loves what they've done with Union Station because it's "for the people" as the space was originally intended. I feel the same way. The hotel, like the rest of the building, has an inviting newness and a nostalgic embrace that's all class. United Airlines flies from Sydney to Denver (via Los Angeles or San Francisco). Melbourne passengers pay about the same and transit in Sydney. See www.united.com. Light rail connects Denver Airport to Union Station. Rooms at the Crawford Hotel from $420 a night. Denver's Union Station, 1701 Wynkoop Street, Denver, Colorado. See thecrawfordhotel.com. Elspeth Callender was a guest of the Crawford Hotel.